The cuttlefish have a delicate flavor and firm texture, which is achieved through rigorous selection control. Afterwards we proceed to its washing, cooking and meticulous packaging made by our canning. 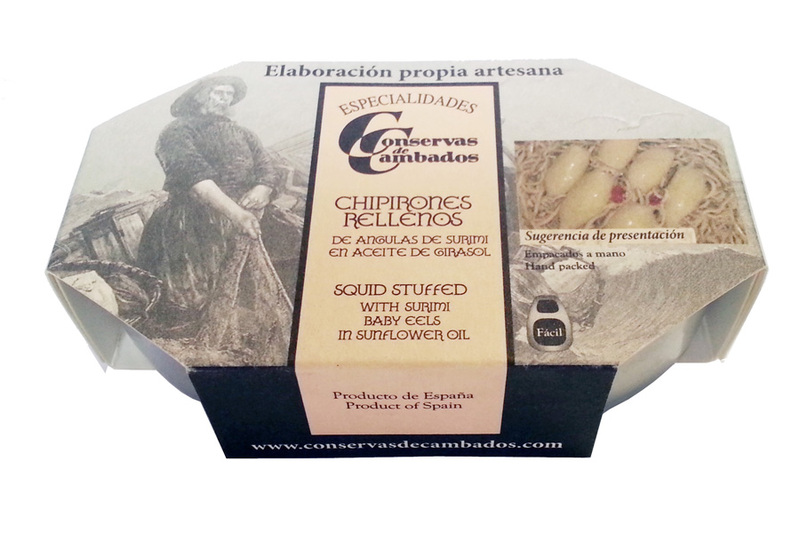 These cephalopods are filled with elvers and bathed in oil, resulting in an exquisite product.